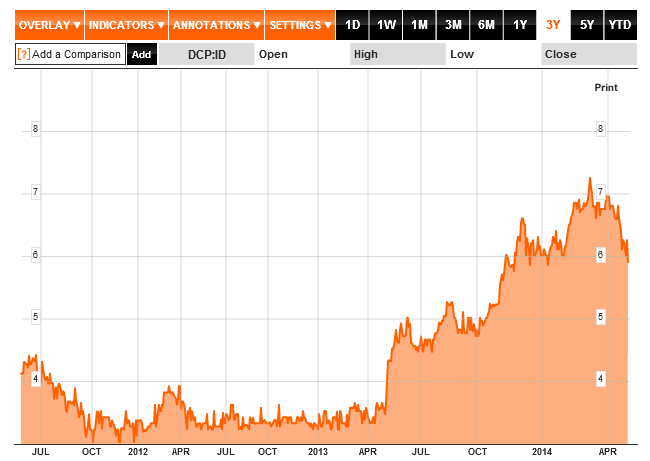 In my original post, I referenced the closing DCP:ID share price (on Fri, May-3rd, 2013) of EUR 3.63. The following Tuesday (the Monday was May Day), the stock rallied 28%, before closing up 18.5% at EUR 4.30. [Another endorsement: My very first suggestion was a name change…which occurred just 2 months later!] A subsequent march higher, at periodic intervals, culminated in the stock doubling after 10 months (i.e. in Mar-2014). Since then, we’ve suffered a 17% retracement – so today’s EUR 6.00 share price seems like a bargain, eh? !